Need something quick, easy, and fun to do with your kids? 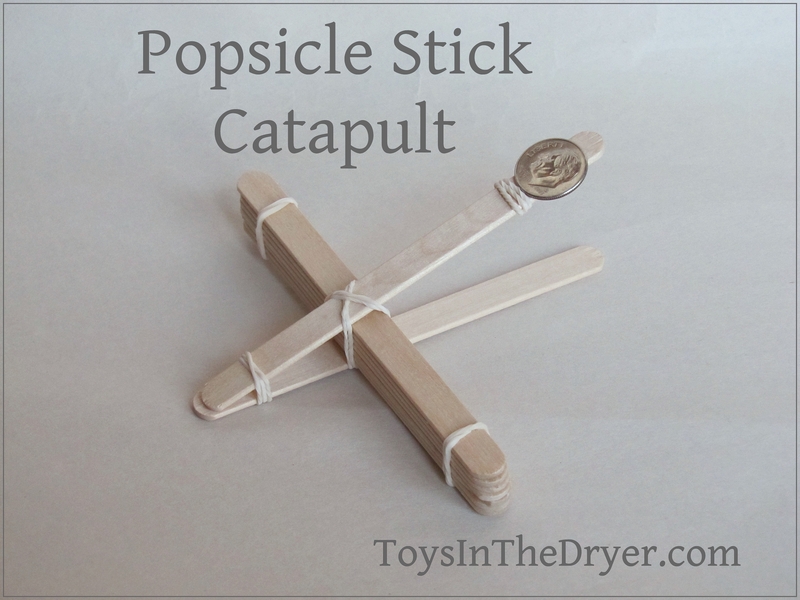 Try popsicle stick catapults! They provide tons of fun for very little effort. What can you do with these catapults? Try launching various objects to see what goes further. Aim to launch objects into cups. Have contests to see how many objects you can launch into cups in a certain amount of time. Stack more or less sticks in the middle to see which provides more height for launch. The ideas are plentiful! My daughter had the most fun seeing how far she could move her bucket away and still get her dime into it. 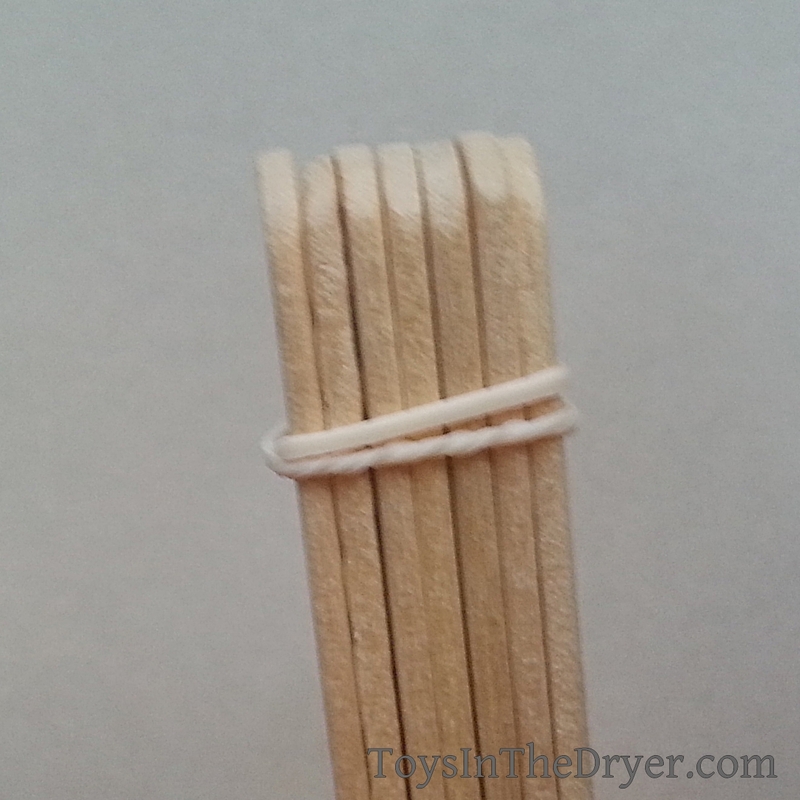 1) Start by rubber banding 5-6 popsicle sticks into a stack. You’ll want to put rubber bands on both ends. 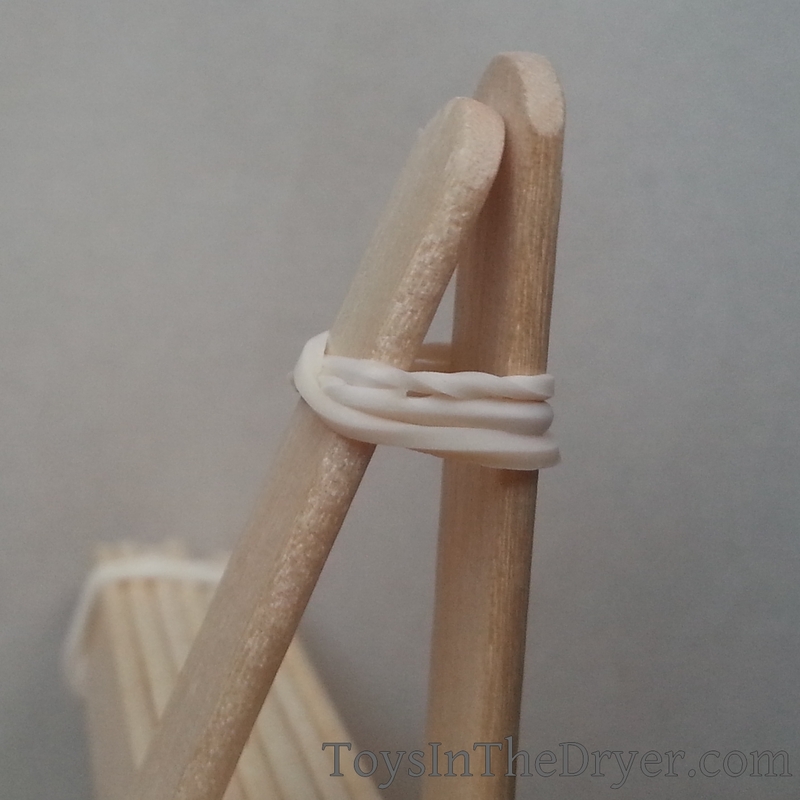 2) Next, rubber band two sticks together on one end only. 3) Slide your stack of sticks between the two popsicle sticks on the open end then rubber band the stack together in an X fashion. 4) Last, place a rubber band toward the end of your top stick so that your objects don’t slide down the stick prior to launch. My kids would have way too much fun with this. Great idea! I love this! I know my son (and husband) would get a lot of fun out of it. I’m going to let my son make this over the weekend. This looks like so much fun! I can see my Nephews playing with this for hours. Wow! That looks like so much fun and it’s so easy to do! How FUN is this? I want to do this with my boy! Now to get Popsicle stick….. This is a neat idea. I think I’ll try it with my kids. I think my boys would like it. I could see my boys being entertained by this for hours. Cute! How fun! I’m tempted to make one of these just to fling treats at the dog and see if she can catch them. This is so much fun! My boys will love it! Seriously, my boys would love this! We have the popsicle sticks, too! This is seriously awesome!! Great craft/activity 🙂 I’ll have to add this to my list of rainy day projects. My kids would have a field day playing with this! Great idea!